So, for those of you who may not know me, my name is Allison. I have been a nurse for 8 years and I am a wife and a mother of 4 children. I do have a family blog that was created about a year ago which you can also read to get to know us better. I have been married for 12 years and my children range in age from 11 years old to 16 months. My youngest son, Ethan, was born with a severe heart defect and has already had 2 open heart surgeries with a 3rd one expected next fall. So, it goes without saying that I am VERY excited for this experience. After Ethan was born, we received a lot of love and support from those around us. I have always felt very strongly to seek opportunities give back or "pass it on" as some might say. I was made acutely aware that life can be short and we should experience as much of it when we can. And, although it causes me anxiety to leave my family for such a long period of time, I trust that it will be well worth it. I've actually wanted to become a part this humanitarian group for some time now. It started with hearing all of Carie's great stories and the seed was planted. However, after Ethan was born and in light of his heart condition, I never thought that I would have an opportunity to fulfill this dream. It was only a couple of weeks ago when Carie invited me to come along. After a lot of discussions with my husband and parents, we all decided that this may be my only chance(hopefully not)to give back in such a big way. We all felt that I should take advantage of this opportunity to serve others. So, now the fun begins in preparing for such a big trip. 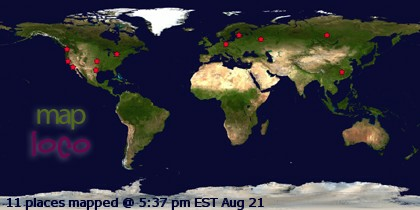 Because of the recent invitation, I don't have much time to prepare. So far, I've filled out the paperwork for my passport and now I just have to go get my picture taken and turn it in. I also have to get the long list of mandatory immunizations and make a trip to the health department. From what I understand, someone in the group will work on getting all of our Visa's ready (after I get my passport of course). I've also been working on letters to send out seeking donations. For me, this is the worst part. It just feels awkward and I don't like doing it. But due to the short notice, I haven't had anytime to prepare. I hope people see that it is for a good cause and don't think poorly of me for asking. I guess I will just have to wait and see from the responses (or lack thereof) that I get. So, anyway, there you have it. I hope you will find this experience an interesting one and will follow along with Carie and I on this amazing journey. Hi I'm Carie. 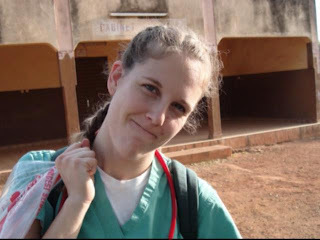 I have been one of the nurses who have been privileged to go on these medical trips to Africa. I have gone twice now and am looking forward to the trip again this winter. The group that goes is made up of 3 doctors, 2 scrub techs and a bunch of crazy, fun nurses. We volunteer our time and skills to perform OB/GYN surgeries that greatly affect the African women's lives. Without the surgeries that we do these women are looked down upon in their communities. Some conditions would have been life threatening had we not been there to help. I have had the privilege to help bring new little lives into this world while in Africa as well as see the difference we make in the lives of these women when I returned the second time. This trip has truly been a life changing experience for me as well. I've never before had the opportunity to give so much of myself and expect nothing in return as I have in Africa. To be able to give of my time and money and comforts of my home as well and the United States has opened my eyes and heart more to others who are less fortunate than I. I'm excited to return and help more women and to see the wonderful friends I have made in this great country. Look closely at the beads around the hips of this baby girl. These are actually "fertility beads". In this culture it is extremely important for the women to be able to bear children. The women gain status by bearing children. 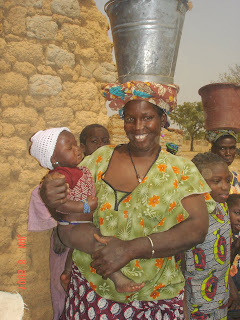 In fact, the average number of babies an African women in this community will bear is just over 7 children. This fact coupled with carrying everything on their heads is why the occurrence of uterine prolapse is so common and unusually severe. In Africa there is no formal waste disposal system. The streets are lined with trash and garbage. The only way to rid of the waste is to burn it which causes a constant grey haze. All of the supplies needed to perform these surgeries are brought with the volunteers from this group. The OR is very shabby and is scrubbed down as best as it can be. 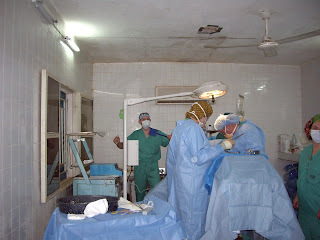 However, there is no way to prevent the flies from entering the OR during the actual surgeries. As you can see in the background, the best method of control is a couple of simple fly swatters. These are the bunks for the volunteer nurses and doctors to stay in. 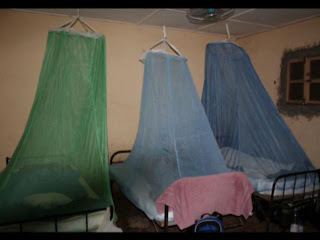 Because of the constant stream of insects and high incidence of malaria, there are mosquito nets provided to sleep under. Again, there is no running water or official waste management systems. 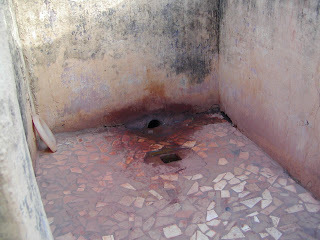 So, this is the next closest thing to a bathroom that we use during our stay. This blog was created to provide a forum where we can share our journey and experiences during the next few months while we prepare for and embark on a humanitarian trip to Mali, Africa. Now, when I say "we", I am referring to my friend Carie who has completed this trip twice before, and myself (Allison), who has NEVER done anything like this before. We are both very excited to be a part of this adventure and look forward to this opportunity to serve. I guess I should start by explaining what the purpose of this trip is. 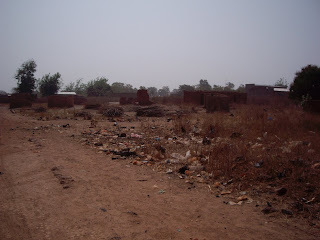 It is run through the Utah Alliance and it takes place in the village of Ouelessebougou. There are only 2 times a year when a medical team will come and perform OB/GYN surgeries on women and run a wound clinic for the children. The women in this culture bear as many children as possible with the average being just over 7 births. That fact coupled with the weight of carrying objects on their heads contributes to a condition referred to as a prolapsed uterus. Because of the lack of medical services, these ailments become very severe and result in the women being shunned by their community. Surgical intervention is the only cure. Also, because of the lack of sanitation and hygiene, many of the children have infected and ulcerated open wounds on their bodies. We clean and bandage these painful wounds in the hopes that they will heal. Needless to say, these services are necessary and I am very excited to be a part of this great team of volunteers. I really think it will be a fun mix of Carie's experience vs. my wide eyed wonder. I have already seen that Carie has invaluable insider information and helpful hints. And so far, I think she is handling me picking her brain pretty well. As far as preparation for the trip there is a lot involved with this process. These things include the technicalities of obtaining passports, visa's, and the many, many, immunizations. Carie has the advantage of already having received her passport and immunizations from her service in years past. She has made a point to warn me that after all of my shots my arm is going to be SORE. So far the biggest obstacle at this point is the financial costs involved in such a big excursion. Being a volunteer mission, we are all individually responsible to come up with the funds to make this happen. Although it is awkward asking for financial contributions, we feel that it is a worthwhile cause and is ultimately for the women and children we will serve. We will both seek and accept donations to help offset the costs of travel and volunteer related services. We are looking into a way to donate through this site, but until then you can contact us through e-mail (by clicking on our name) to get our individual contact information. We hope you will follow us through this journey and we truly appreciate all of your support. We welcome any comments and are happy to answer any questions that you may have. This mission is truly bigger than us and we hope you all will feel a part of this amazing experience.